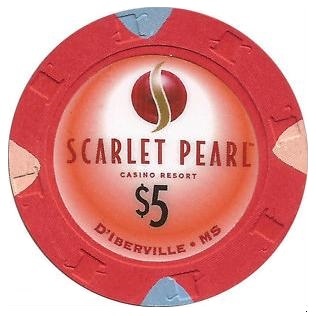 The $290 million Scarlet Pearl Casino resort in D’Iberville, Mississippi had their grand opening on December 9th of 2015. 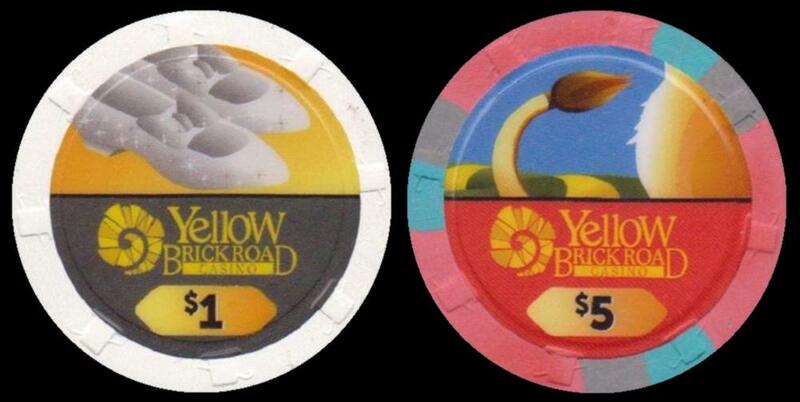 The 60,000-square-foot casino features 1,350 gaming machines, 45 table games and 10 poker tables. 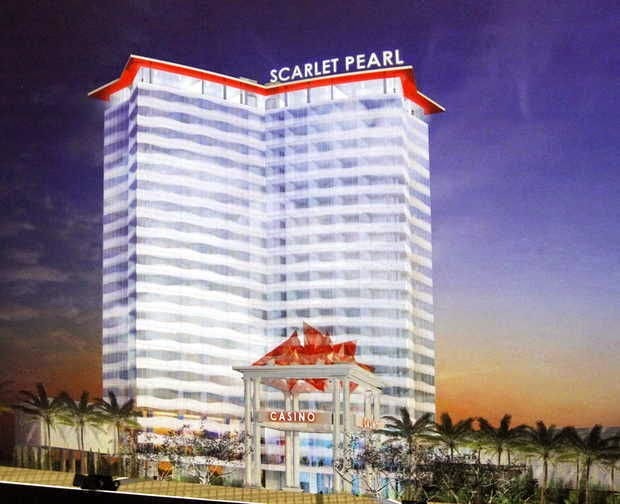 Other amenities are a 300-room hotel in a 14-story tower, a 500-seat event center, buffet and gourmet restaurants, a coffee shop/café and a 36-hole mini golf course. The Yellow Brick Road Casino in Chittenango, New York have added table games on December 8th of 2015 and issued these chips. The casino opened as "slots only" earlier in the year.